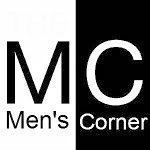 Men's Corner: Is this a horror movie which we waiting for? Trailer for this found footage horror announces that this movie could be one of the better horrors. "According to published trailer in the dark catacombs could be one of the best found footage horror published lately".